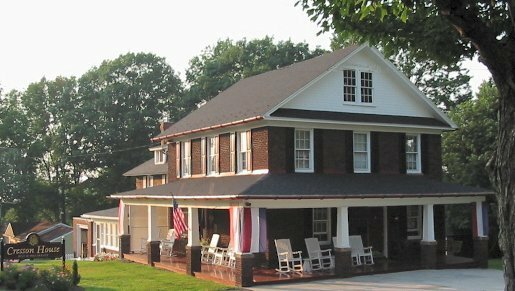 Cresson House Bed & Breakfast is a classic Colonial home tastefully decorated and nestled in the Allegheny Mountains of Central Pennsylvania. Just minutes away from I-99, we feature warm hospitality and amenities such as spacious grounds, central air conditioning, full complimentary breakfast and five rooms with private baths. Relax on the wrap-around porch in our country rocking chairs. Let us take care of your corporate clients - Cresson House is ideal for the business traveler as well as visiting family and friends. Consider us for your next special occasion.